Driving down the slopes of southern Oregon's Cascade Mountains from the pass at Lake of the Woods east to Klamath Falls. Upper Klamath Lake is just barely visible in the distance, between the field and the far hills. 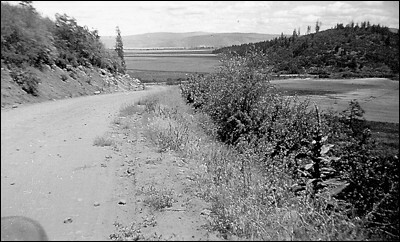 This gravel road is the ancestor of Highway 140.